Terrestrial ecosystems are distinguished from aquatic ecosystems. An Aquatic Ecosystem is an ecosystem in a body of water. While the community of organisms and their environment that occurs on the land masses of continents and islands are Terrestrial Ecosystem. Communities of organisms that are dependent on each other and on their environment, live in aquatic ecosystems. The two main types of aquatic ecosystems are marine ecosystem and freshwater ecosystem. 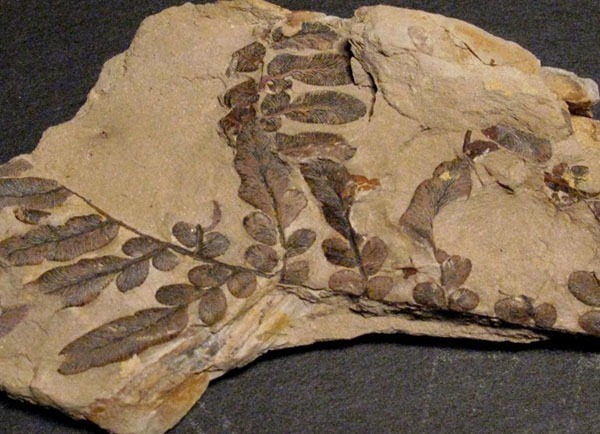 Early aquatic ecosystems were mostly marine ecosystem. Some water bodies like rivers and lakes were formed due to molting of glaciers. Most of productively of aquatic ecosystem depends on the marine life. It mostly composed of algae and fishes. Most of photosynthesis was carried out by primitive algae and cyanobacteria. Fresh water bodies also have some life. 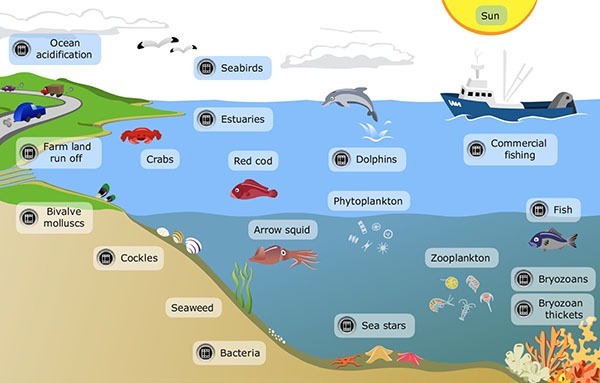 They also have zooplanktons and phytoplankton. Some primitive floating mosses were also present in these bodies. Consumers were zooplankton and some species of fishes and amphibians. Terrestrial ecosystem are distinguished from aquatic ecosystem by the lower availability of water and the consequent importance of water as a limiting factor. 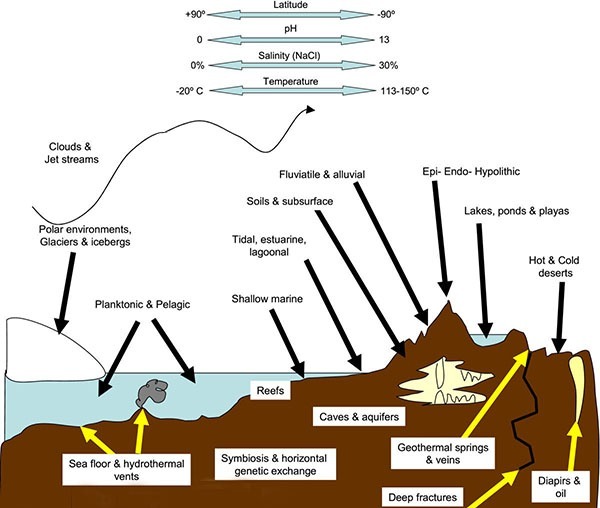 Terrestrial ecosystem are characterized by greater temperature fluctuations on both a diurnal and seasonal basis than occur in aquatic ecosystems in similar climates. The availability of light is greater in terrestrial ecosystems than in aquatic ecosystems because the atmosphere is more transparent than water. Gases are more available in terrestrial ecosystems than in aquatic ecosystems. Those gases include carbon dioxide that serves as a substrate for photosynthesis, oxygen that serves as a substrate in aerobic respiration, and nitrogen that serves as a substrate for nitrogen fixation. Terrestrial environments are segmented into a subterranean portion from which most water and ions are obtained, and an atmospheric portion from which gases are obtained and where the physical energy of light is transformed into the organic energy of carbon-carbon bonds through the process of photosynthesis. 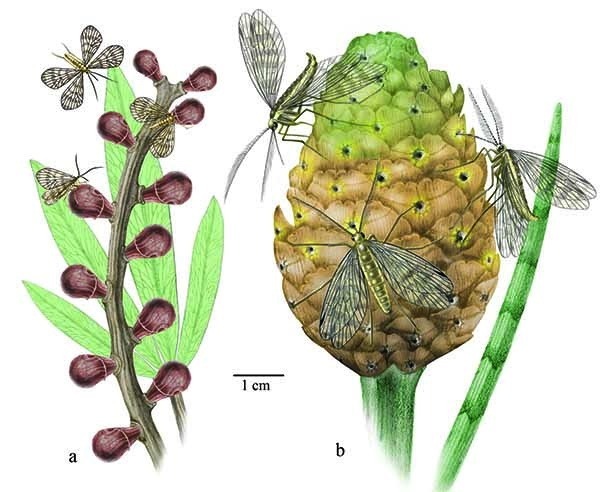 The first primitive seed plants, Pteridosperms (seed ferns) and Cordaites, both: groups now extinct, appeared in the late Devonian and diversified through the Carboniferous, with further evolution through the Perm and Triassic periods. In these the gametophyte stage is completely reduced, and the sporophyte begins life inside an enclosure called a seed, which develops while on the parent plant, and with fertilization by means of pollen grains. Whereas other vascular plants, such as ferns, reproduce by means of spores and so need moisture to develop, some seed plants can survive and reproduce in extremely arid conditions.